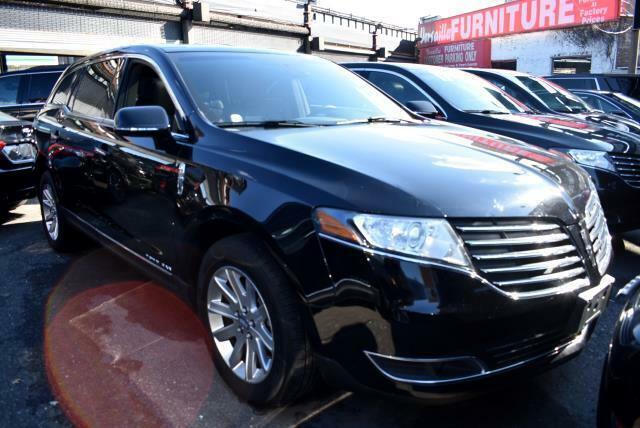 Used 2017 Lincoln MKT Livery AWD for Sale in Long Island City NY 11101 Tower Auto Mall Inc.
You'll be completely happy with this 2017 LINCOLN MKT. Curious about how far this MKT has been driven? The odometer reads 55282 miles. Never be bored with the numerous built-in features, such as: dual-panel moonroof,heated seats,power seats,rear view camera,navigation,power windows,power locks,blue tooth,mp3 audio input and leather seats Call today to speak to any of our sale associates. At Tower Auto Mall, it's all about you and your happiness. Message: Thought you might be interested in this 2017 Lincoln MKT.